Donovan, despite the nasty lamprey hands, isn’t doing that good a job of kidnapping Stiles and ends up chasing him (neck toothy maw may have sense organs for extra disturbing). Donavon decides to tell the story of how his dad was disabled in a gun fight which he totally blames on sheriff Stilinski. Donovan keeps trying and Stiles responds by throwing every damn thing he can at guy until he finally ends up brutally impaled. Stiles calls 911 to get the police sent, but plans to leave the scene after some of his excellent disturbed acting over leaving a body behind him. Personally I think it would have been wiser to stay – everyone heard Donovan’s death threats, self-defence would not have been a hard sell. But Stiles really sells horrified and disturbed. His hands are shaking too much to drive away and the cops arrive, search the school… and find nothing. Stiles hurries into the school where he killed Donovan and finds none of the destruction – just a tiny spec of blood. He goes home to his mystery wall to have a well-deserved freak out while logically considering the options – Donovan not dead and walked out – or dead and someone took the body. To Scott and Kira and Kira is taking in her sleep in Japanese. Scott gets an alarm that there is a break in at the animal clinic and, after investigating, calls Stiles to tell him someone is stealing the bodies of the chimera. That stealing person appears to be Parrish who, in his probably-a-phoenix-trance, carries Donovan’s body into the woods, probably to the Nemeton. They also bring in Theo to their little book brainstorm and both Scott and Lydia hit on the book being dedicated to a Dr. Gabriel Valack. That would be a patient locked in Eichen House. The man with the freaky third eye. Theo reports to the Dread Doctors that their plant worked and the gang is going to see Valack just as they planned. As they prepare to go Lydia notices Stiles is not entirely ok but he refuses to let Lydia go see Valack in the terrible terrible place without him (which has bad memories for all of them). And to Kira and Scott and some relationship drama because Scott totally told Kira he loved her last episode and then seems to have completely forgotten about it and she gave it huge meaning and he’s acting like it never happened. I generally hate relationship drama but this one works for being pretty smooth. She’s hurt and he’s smart enough to know something’s up. Because there’s also another issue - she asks him to look at her with his Alpha eyes and he sees her surrounded by a burning fox – but he unwisely refuses to tell her that. Aie, that’s the worst possible idea. 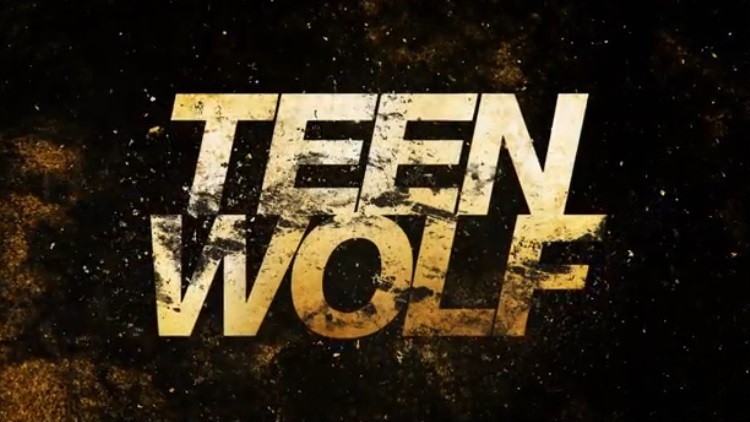 As they go to Eichen House Stiles notices something is up and Scott tells him his concerns about Kira – the flaming fox, the fact she nearly killed someone last week and the fact she’s started speaking Japanese despite it being a language she doesn’t speak. Of course Stiles has his own issues so desperately tries to make the point that killing in self-defence is justified (since he’s just done that himself). Unfortunately, Scott declaring the Chimera to be victims doesn’t really help Stiles’s guilt. He reveals he wrote the book – it’s a tool to “open your eyes” to the Dread Doctors. He wrote it because no-one believed him about the Dread Doctors, scientists who obsessed about the supernatural and used it to empower themselves; including making everyone who sees them forget them. In exchange for his help he wants to record Lydia’s scream. When they’re reluctant he tells them more will die and sort of blames them for igniting the Nemeton – and shows them his ultra awful third eye. Back to Scott and Kira who reflect that Lydia and Stiles, despite lacking physical power, do keep managing to survive and are good together (there’s also a nod to Stiles still liking Lydia). Then the electricity starts acting up – and sparking around Kira in particular. And the Doctors Arrive. Killing people in their way while Scott tries to move Kira despite the voltage she’s pouring out, carrying her even as she burns him. The Doctors reach Valack and open his cell – and remove the eye from his forehead. Scott and Kira collapse on the steps outside the house, Scott badly burned, and Kira reminds him of what he said – and he says he meant it. Inside, Stiles has a huge guilt trip over it all being their fault, due to the Nemeton – but rather than spirally in angst they accept it as their responsibility. Malia refused to go to Eichen House because of her experiences of the place – so she is in the library and joined by Theo who decides to help her learn how to drive for the sake of product placement… but while driving she has another flash of memories, races out of control before stopping and falling out of the car. She’s paralysed by memories of a woman firing two guns at a car – she calls them the Desert Wolf. Yet again, Dylon O’Brien brought out those copious acting skills. I’ve said it before and I’ll say it again, Teen Wolf has a remarkable cast of talented actors. Something is happening to Kira – this worries me since it could be a death knell. It intrigues me because whatever is happening doesn’t seem to be chimera-related so much as a pure kitsune thing. And it frustrates me because Scott has decided not to help Kira find the answer (spare me from this whole “I will keep secrets to protect you” meme, it’s old, patronising and foolish) and neither of them have thought to go to Noshiko, Kira’s mother, a kitsune who has lived for centuries. Curious – why aren’t Banshees stopped by Mountain Ash?